I have been known to dabble in the dark arts of prospect rankings I have done so on a few occasions. First, on RSEN, I have also had my rankings featured here and on Fear The Fin. However Steve Dangle came up with a great idea that I like so much better. 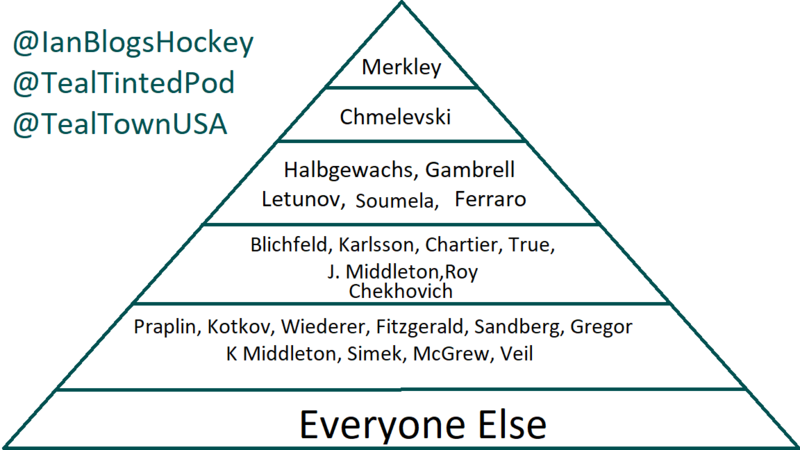 The Prospect Pyramid, instead of arguing who is 4th, or 6th you break them down into tiers. If you want to check out the video that inspired this article and project then please do so here. Here it is in all it’s MSPaint glory. The first question I am sure many will ask is how does a player taken 21st overall in the draft and won’t play in the NHL right away a tier one prospect. Obviously, these things a subjective but I would argue that on talent alone Merkley was the 2nd best defenceman available in the 2018 draft. It wasn’t talent however that put him on many teams no-draft lists and saw him fall in the draft. While the off-ice concerns should not be ignored you have to like what you see with this kid on the ice. 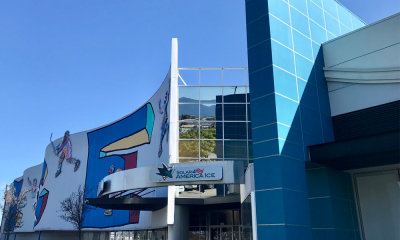 During the rookie showcase in Vegas and so far in the preseason Merkley has impressed with his ability to push play through the neutral zone and make passes that seem to have no business being completed. He has vision and skills that you just can’t teach. Ryan Merkley for my money is the most dynamic player the Sharks have ever drafted under Doug Wilson and aside from Patrick Marleau maybe in their entire history as a franchise. He’s just that good. Tier 2: Too High on Chmelevski? It’s hard to put my finger on what I love so much about Sasha Chmelevski. There is a maturity in his game that is hard to describe. On the ice, he has the demeanor of a veteran player without even skating in an NHL game. He is a very good skater, with excellent puck handling skills. He can protect the puck with a poise that again feels beyond his years. This is a player that I think is a sure-fire NHL player who should have a long career. Maybe he won’t be a superstar but should be a top-six fixture on the Sharks for hopefully many years to come when he turns pro. A late-round pick by the Sharks in 2017 Chmelevski is looking like quite the coup for the Sharks drafting team. I’d imagine the third tier is what most would expect it to be. Halbgewachs is coming off a season where he put up a WHL leading 129 points. Usually, when an overage player accomplishes a feat like this they have a growth spirt, are 6’3 and are just having their way with physically underdeveloped kids. This is not true for Halbgewachs who is only 5’8″ and around 165 lbs. His weapon is his speed and seems like a player that is built for today’s game. Still, we need to see what he can do in his transition to the pro-game. Dylan Gambrell and Maxim Letunov are playing their first season outside of their respective NCAA programs. I am pretty high on both these players as long-term pieces but have not seen enough of their game to have a good feeling for how their transition to the pro-game should go. So far in camp Letunov has really stood out while Gambrell appears to need some seasoning in the AHL. Letunov has become a dark horse to make the team out of camp in the highly contested fourth centerman spot. Mario Ferraro has a hell of a toolset and because he cannot attend normal camp due to his NCAA commitments, and thus is often overlooked in Shark fan circles. 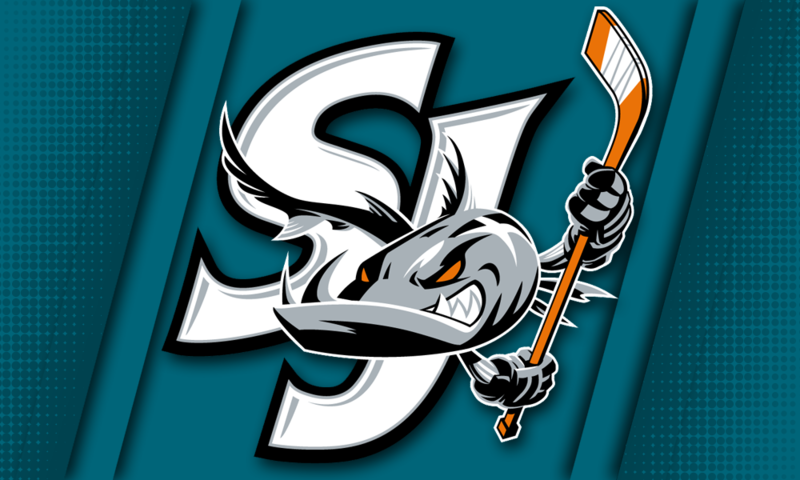 This may be the best defensive prospects the Sharks have behind only Ryan Merkley. Antti Suomela has been a pleasant surprise in camp and has the potential to soften the blow left to the bottom six by Chris Tierney. 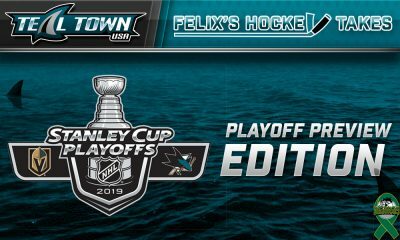 He has had some chemistry with Donskoi in the early going, the question is what will happen when he faces a team’s full lineup? If he can handle the duties of a third line centerman the Sharks can keep Hertl on Couture’s wing where he belongs. At worse, he is a significantly better fourth line center option than any of the remaining options. The players in Tier 4 are mostly there because I think these players have something but I’m not quite sure what it is. In the case of Jeremy Roy and Rourke Chartier, their ability to stay healthy is a serious concern at this point. The NHL season is a grind but if you can’t stay healthy enough to even get your shot at sticking that could be the end. These are players who have great talent and NHL potential you just have to hope that the injuries are truly behind them. So far this camp Chartier has really put himself in the conversation for the 4th line center role. Linus Karlsson is a player that has all the potential to break the Sharks poor success rate of turning third round picks into players. It’s difficult to know what to make of him and playing in the Allsvenskan this season. Making his national team for the IIHF U-20 (World Junior) squad and having a good showing would make me more comfortable moving him up a tier. This is a prospect that I really like, I just need more information to feel comfortable putting him in my third tier. Jacob Middleton is a guy that again I really like and didn’t want to cop out by putting him in between tier 4 and tier 3. The lack of a path to the NHL with the current roster being what it is may have clouded my judgment here as well. In the case of Ivan Chekhovich, there is a lot to like. I just want to like it against better competition. 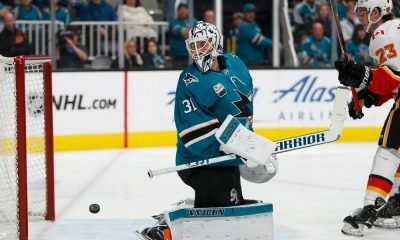 In a small sample size of games for the Barracuda, he was great and he also had a strong camp before being sent back to the Baie Comeau Drakkar of the QMJHL. This is a player that could certainly climb in future pyramids. Joachim Blichfeld will play in his overage year for the Portland Winterhawks and was in the first group of cuts from camp. I was not overly impressed by what I saw in the rookie faceoff and training camp but I don’t think he is a tier 5 or just a guy at this point either. Blichfeld will have a lot to prove to enter next year’s training camp. Without getting into individual players my fifth tier is made up of a few different types of players. In some cases, it’s players who I know more of by reputation than my own eyes. Some are prospects that are turning pro but have just not impressed in rookie games or training camps like you would hope they have based on draft pedigree. Others are simply those that need to take a step forward or risk becoming journeymen. Some of these players have the potential to move up on future Pyramids when I get a better feel for what they are about. Some could fall off the list entirely. Tim Heed: At age 27 Tim Heed should not be considered a prospect. Jasper Weatherby: I was very complimentary of this player when he was drafted so some found it odd that I left him off my list. The reason is simple I need more than BCHL numbers to decide where he fits because Tyson Jost he is not. Is there a player that you think I missed, ranked too high, or too low? 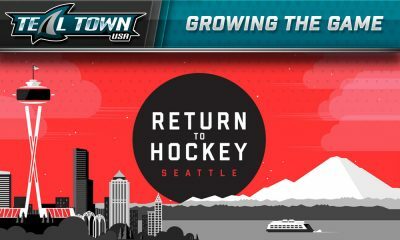 Let us know in the comments or on social media @IanBlogsHockey or @TealTownUSA.